Haverskerque is south of the town of Hazebrouck and the village remained in British hands from October 1914 to the end of the War, although from April to August 1918 it was within 5 kilometres of the front line. 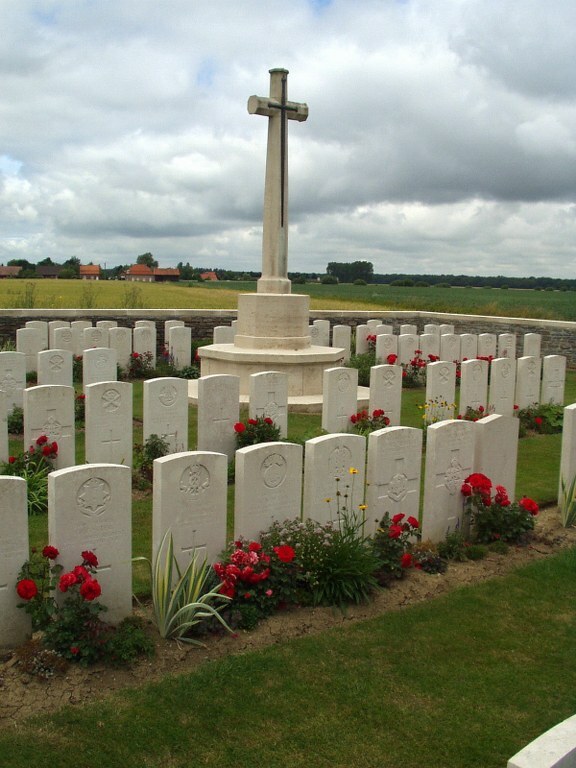 The Cemetery was begun in March 1918, by the 33rd and 54th Casualty Clearing Stations, and carried on by fighting units during the Battles of the Lys. After the Armistice a small number of graves were brought in from isolated positions. There are now nearly 100, 1914-18 war casualties commemorated in this site. Thirteen graves from the 1914-18 War cannot be located, and are represented by special memorials and by five unnamed headstones.